Below is a list of all the accommodation that is available in the waterford area. The 2016 Ravens Rock Rally will be officially launched on Friday 13th May at Dooley’s Hotel, The Quay, Waterford at 20:00. This is the fourth year that the rally is sponsored by Dooley’s Hotel with the entire competition taking place on stages in Co. Waterford. Launching the event are former tarmac rally Champion Eugene Donnelly, renowned for his exploits on tarmac and forestry rallying the length and breadth of the country with “legend” tagged onto his name when it crops up in rally conversations, and Rob Duggan, Billy Coleman Award winner who is setting out on his rallying career. Competitors like Eugene were probably the heroes that inspired Rob and others to pursue a career in rallying. Eugene has competed with and against the best in rallying throughout the past 30 or so years. Today’s event is far more refined as the stages are on tarmac, in the hours of daylight, and navigation is by following ‘Tulip Diagrams’. Some say the diagrams represent a pencil sketch of the tulip, while others say this style of direction was first used on the Tulip Rally.This year’s event will run on Sunday 26th June. The format for the rally is changed slightly from the previous three years when the stages were in the Dunmore East / Woodstown area. This year, while based in the city, the action will be on the stages further west in the county. 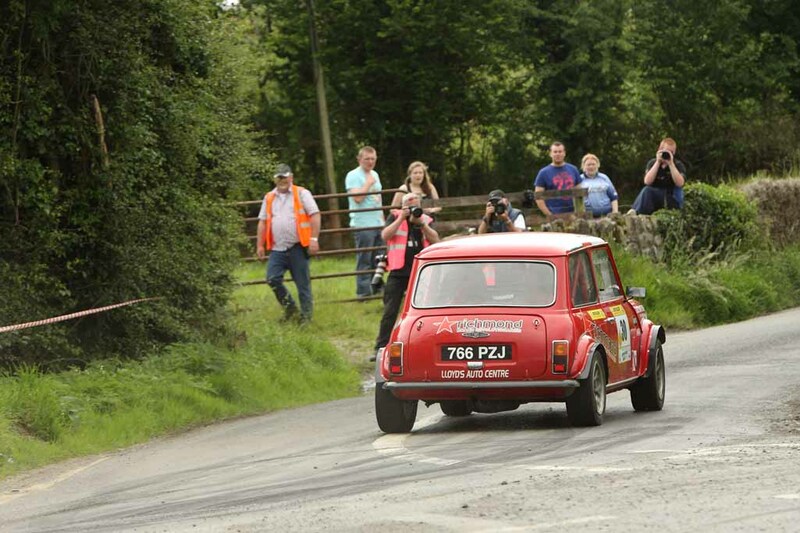 This is a national event run under the auspices of Motorsport Ireland. The Ravens Rock rally is a six stage rally in which cars from the latest WRC rally cars to Juniors will compete. 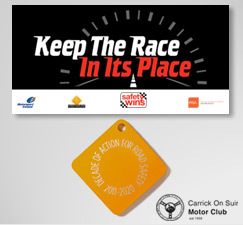 Entries are limited to 140 cars and the Carrick-on-Suit Motor Club expect a full list of competitors. The stages, variations of which have been usedover the past 40 years or so, are fast but challenging and will provide excellent competition for competitors and spectacular action for spectators. The rally is round 5 of the Suirway Group South East Stages Rally Championship and round 3 of the Plasticbags.ie Southern 4 Rally Championship. Both of these championships are well supported by competitors from all regions of the country despite their titles. Clerk of the Course for this 2016 Ravens Rock Rally is Terence Kearney who heads a pragmatic and resourceful team of experienced competitors and officials. Waterford and in particular Ballybricken, where the ceremonial start will be on Saturday evening 25th June, will be a hub of excitement where the rally experience will be brought to the public who would not normally be exposed to the fuel filled adrenaline rush that is at the heart and soul of rallying. The Regs and Entry Form for this years Ravens Rock Rally are now available below. The Ravens Rock is the 4th round of the Suirway Group South East Stages as well as being part of the Southern Four Rally Championship. Below is an email sent in about accommodation for Rally Finland 2016. If anyone is interested you might contact Liam via his mobile number or email address. The Ravens Rock Committee for 2016 will be having their first meeting on the 28th of April, 2016 at 8pm in Dooley's Hotel, The Quay, Waterford. If anyone is interested in helping out, you are more than welcome to come along. These are the locations where programs for the event are on sale.